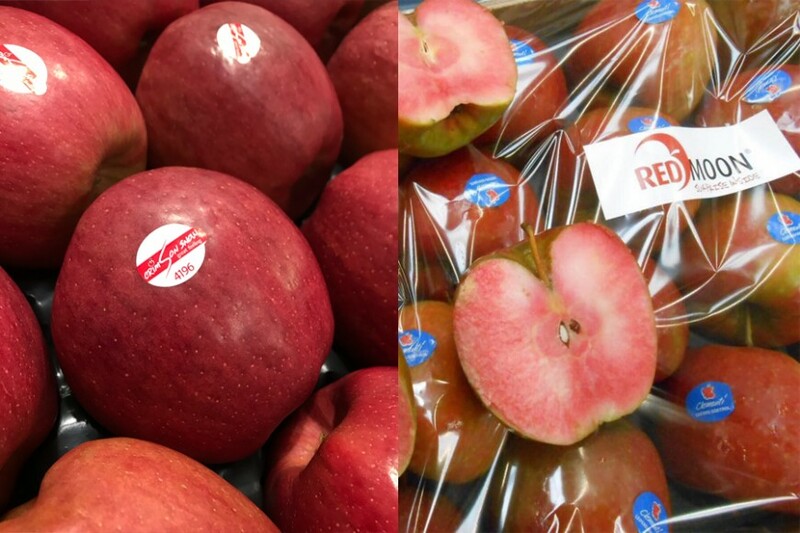 Producers and consumers are apparently getting excited about two new apple varieties, Crimson Snow and Red Moon. If new and exciting varieties really are the future of fresh produce business, then Italian apple company Kiku Variety Management has planted itself very much in the heart of that particular field. Buoyed by the recent success of branded club apples including Kiku and Isaaq, the company says it also sees a bright, rosy future for two of its newest cultivars, the red-skinned, white-fleshed Crimson Snow and the red-fleshed Red Moon. For Crimson Snow, whose brand identity is rooted knee-deep in the snowy brilliance of alpine sports, the European market appears wide open. France, for example, is no longer off-piste thanks to a new partnership with Mesfruits, which has signed up for at least five years to grow an initial 30ha of the variety in Provence, and more if the market wants it. In the meantime, licensed producers have already harvested their first crops in Italy, Switzerland and Serbia, the latter offering an opportunity for the club to develop sales to Russia. As Kiku’s chief executive Jürgen Braun explains, the commercial outlook for Crimson Snow is very positive. “The French guys are very excited because they see the variety’s big value on the French market, especially in the second part of the season,” he says. On a visit to Crimson Snow’s Serbian partners in November as part of the Fruitnet Forum South-East Europe study tour, Eurofruit was able to see the variety being harvested at an orchard and packhouse operated by local players Agrounija and Verda Vivo. Elsewhere, Braun says the emergence of a new red-fleshed apple with excellent taste characteristics and good, fair returns for growers could be about to shake up the European apple market, especially among health-conscious consumers who are attracted by its high anthocyanin content as well as processing companies seeking something different in terms of taste. With 35ha planted and a short-term goal of 100ha in Europe, demand for the fruit apparently outstrips supply to such an extent that all of this year’s marketable fruit sold out in just two weeks. The Red Moon brand will be developed in partnership with around 30 licensees under a cooperative system managed by seven shareholders. These include the variety’s breeders Benoît Escande of French group Pépinières Escande and another Frenchman Jean-Luc Carrieres, as well as Jürgen and Thomas Braun of Kiku Variety Management, Dutch consultant Hans Scholten, Luis Clementi of Italian apple company Fratelli Clementi and Kiku’s Stefan Klotz.